The Jansen Keyboard Bench/Digital Piano Bench is the highest quality digital piano bench on today's market. Constructed of hardwood maple, the keyboard bench comes with a music compartment, square tapered legs, and has a comfortable padded vinyl top. 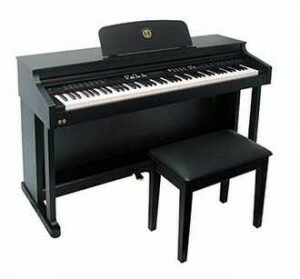 The digital piano bench measures 12" x 24", and has a height of 20". Guaranteed Lowest Price on the Internet!